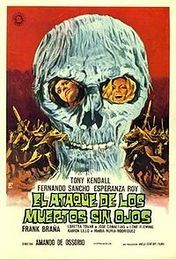 Alternately translated as Return of the Blind Dead and Return of the Evil Dead, the second film in Amando De Ossorio’s zombie parade was released a scant two years after the series’ first installment, Tombs of the Blind Dead. Each of these films was completed under the constraint of scant funds, but still was able to create enough ambiance and gore to create a small time fervor in the nerdly horror community at the time. 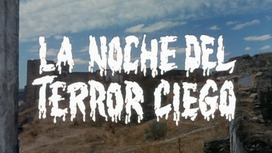 Some have even hypothesized that Sam Raimi borrowed the title of his first film from this second zombie flick. And while that can’t be substantiated, there’re enough cheapo gore thrills here for the guess to make more than a bit of sense. It pains me to say this but I Am Omega will have to be in the list of 'give it a miss' list. To be perfectly honest, it's not as bad as House of Dead. But then again, the “At least they didn't have a zombies against rave moment” comeback is hardly the best defense for any undead movie, is it? 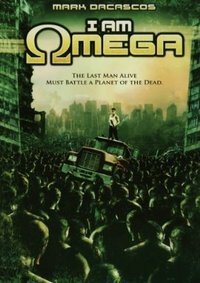 Well, let's go on with the review of I Am Omega. When I was sixteen (it was a very good year), I bought a single from a band named the Templars called La Noche de los Gaviotas on Headache Records. The title of that record roughly translates to Night of the Seagulls. And on its cover a hooded figure is carrying a woman off to who knows where. At the time, I just figured that the image was a befittingly creepy cover to some good Oi! and punk, never giving any thought to where the name or that photograph came actually from. But only recently, while reading an interview with one the Templars’, I came to find out that the title of that album comes from a horror movie directed by a Spaniard named Amando De Ossorio.